Over the years, several of my pitchers have gone on to become successful Division I athletes. What is more important however, is the fact that those athletes have found good matches both academically and athletically. 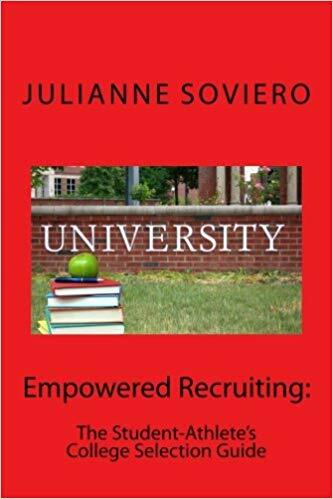 If you are not educated about the recruiting process and the recruiting environment, attending your dream school will become a near-impossible task. So I’m going to help you avoid those problems! Many years ago, when early verbal commitments first started happening, I had an amazing pitcher whom I felt was easily a candidate for a scholarship at a Division I program. I have had tons of experience in this area, so I know a Division I athlete when I see one. Not only was she athletically incredible, but had great grades, an amazing personality, and a great work ethic. But she didn’t go Division I.
Here’s why: she spent so much time honing her skills and athletic talents, but wasn’t on a team that showcased her well, and she didn’t do the clinics, camps, letters and showcases that would have gotten her noticed. She was soooooo good, that, in an ideal world, coaches would have found her, but, let’s face it, that never happens anymore if you are playing on a team that is beneath you. This one incidence was enough to motivate me to write my book on recruiting: Empowered Recruiting. Even though some guidelines have changed (more on this in a second), all of the principles in the book are still going to apply: you just don’t have to do them as early. Since now is the ideal time of year to be looking at the clinics and other resources that you will be needing in the coming months in order to find the school of your dreams, I figured I would give you a little list of things to do in order to make the most out of your valuable recruiting time. For more help, read Empowered Recruiting or contact me to schedule an A Game Consultation. Your recruiting team consists of the people whom you will need to help you travel to clinics, connect with different schools, and be advocates for you. This team should also include your guidance counselor, with whom you should review your academic standing and make sure that you are on track to meet Clearinghouse Requirements. 2. Use Naviance.com or make a list with a coach, parent or trusted advisor: These are all resources you need to start narrowing down your list of schools based on your preferences for softball, academics, AND demographics. Once you have a solid list, THEN research the clinics and other instructional programs that these schools are holding. Take a calendar (or use the one that we talked about creating a few weeks ago when we talked about organization), and mark off the clinics that you want to sign up for. Check them against your academic schedule and your softball schedule. Sometimes, two or three promising clinics will overlap. If that’s the case, don’t worry: that’s why it’s good to start your recruiting process early. First, go with the clinic or camp that you feel will be closest to meeting all of your requirements, and go to other instructional events for the schools that don’t match up quite as well. 3. Understand the lay of the land: If you have never been through the recruiting process before, it can be really daunting. Take time to research the regulations, the different recruiting options, the scholarship possibilities (not all schools have scholarship money), and use that to enhance your game plan. If this sounds overwhelming to you, either read Empowered Recruiting (keeping in mind the regulation changes) or schedule an A Game Consultation. 4. Understand how the new recruiting guidelines affect you: The best information I can give you on the new guidelines is here. Read it thoroughly, bookmark it so that you can refer back to it, and share it with your coaches and teammates. It is extremely helpful information and is something you should know, particularly because there has been such a high turnover rate for coaches in the last year. Start working on this TODAY. It is never too early to work on finding the school of your dreams. Don’t you feel enlightened? Feel that way every week by signing up for the newsletter at www.flawlessfastpitch.com.